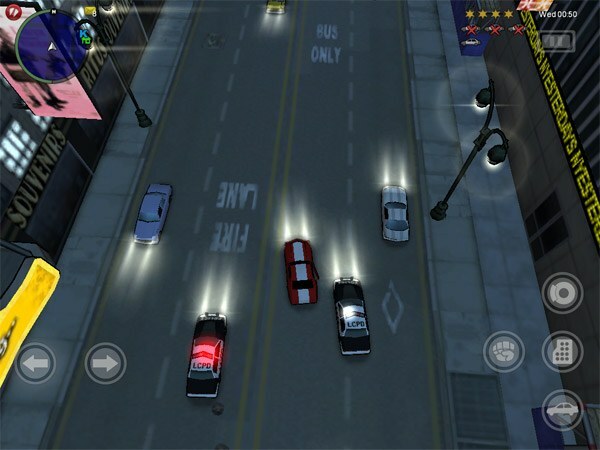 Grand Theft Auto: Chinatown Wars is finally available in full HD beauty for the iPad and it looks awesome. The game features full 1024×768 HD resolution graphics with higher polygon counts, better models, and improved lighting and graphic effects to take advantage of the iPad hardware, or to put it another way: it looks way better on the iPad than it does on any other portable gaming device. Check out the video below. The controls are touch based and activated on the screen, and the app will sync with your iTunes library to let you play your own music via the Independent FM channel. Sweet! Screenshots don’t really do it much justice, and it’s hard to get a feel for the controls and graphics by looking at still images, but thankfully 9to5Mac dug up the above gameplay video of someone cruising around on the iPad. The video isn’t perfect but it gives you an idea of the gameplay and graphics. You can get Grand Theft Auto: Chinatown Wars on the App Store for $9.99 which is about half the price as what the exact same game costs running in lower quality on a Sony PSP or Nintendo DS. Not bad eh?